Rickey Smiley, born on August 10, 1968, is a stand-up comedian. The American is also a television host and appears on the television series, Rickey Smiley For Real, based on his real life. Rickey, though unmarried and single, is the father of five children among which two are his biological children and the rest are adopted ones. In addition to his career as a comedian, Rickey is an actor and radio personality as well. He is highly popular for his prank phone calls in which he camouflages his original voice and has a humorous conversation with a stranger on the phone. 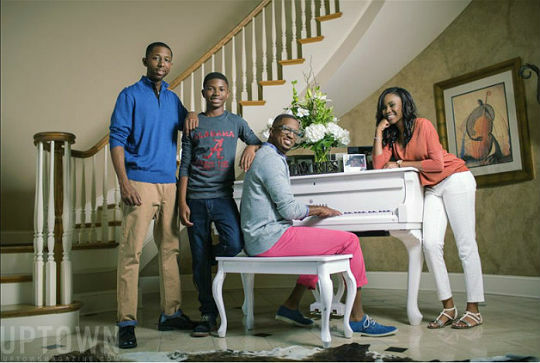 To find out more about Rickey Smiley and his unorthodox family, continue to read below. As mentioned earlier, the family of Rickey is not like the regular families in the society. Despite the fact that Rickey hasn't got married and isn't romantically involved with anyone, he is the proud single-father of five. But not all of them is his own blood. Rickey has three sons; Brandon, Malik and Craig and two daughters D'essence and Aaryn. Among the five, Brandon and Malik are his biological sons while the remaining are believed to be his nieces and nephew whom he had adopted. Rickey yet hasn't revealed any details regarding the mother of his sons. He said the reason for his adoption is that he does not want his nieces and nephew suffer the fatherless childhood as he had. #RickeySmileyForReal is on @tvonetv RIGHT NOW!! Tune in!!!! He disclosed the facts relating his family in 2015 and in the same year, his reality show, Rickey Smiley For Real starring himself and his kids broadcasted on TV One. In 2013, Rickey was accused of being gay by the former husband of Paula Cook, Antwaun Cook. But Rickey has spoken up about the allegation. 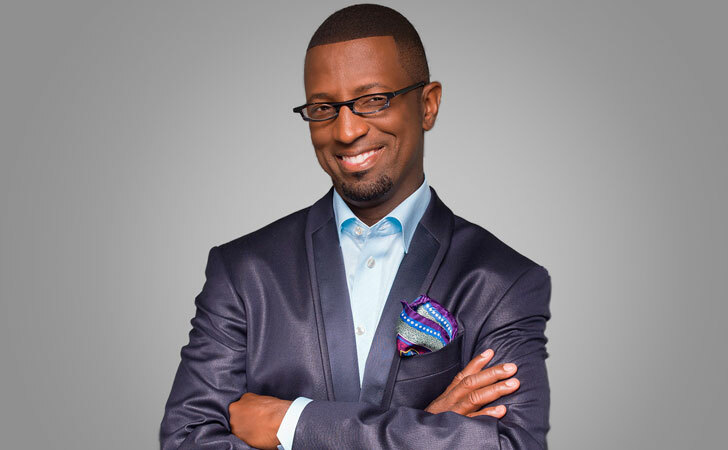 The successful radio personality is hosting nationwide broadcasted radio show Rickey Smiley Morning Show since 2008. He has been featured on Fox Television Stations' Dish Nation which presents celebrity news and humorous commentary on pop culture since 2011. The comedian has also appeared on BET's "ComicView" program, Showtime at the Apollo, HBO's Def Comedy Jam, HBO's Snaps, The Nashville Network, Uptown Comedy Club, and Comic Escape. Till the date, Rickey has released several comic songs such as Roll Tide and We Miss Robert. He has also released six albums of his prank calls up until now. His notable prank calls include Buried Alive, Come Over, Uncle Melvin and many more. In 2002, Smiley co-starred with Kimberly Woodruff's husband Ice Cube and Mike Epps on American Christmas stoner comedy film, Friday After Next. Hope Rickey with estimated net worth around $2.5 million lives happily in his untraditional family of six.